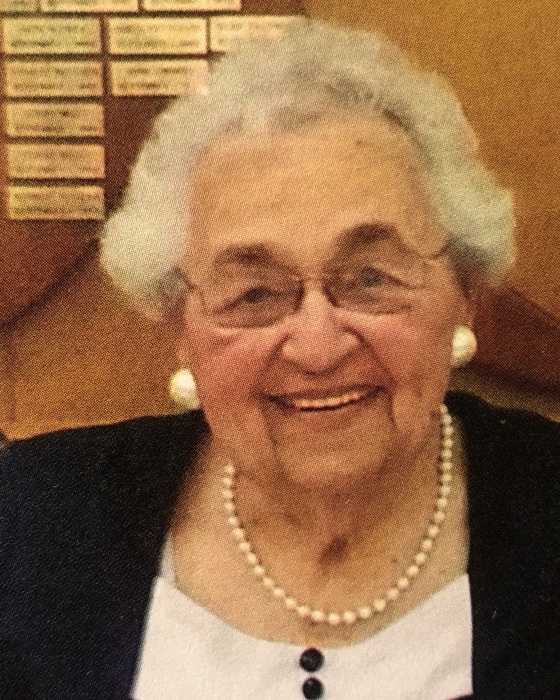 Obituary for Helen (Vojnovich) Medic | Alfieri Funeral Home Inc.
Helen Vojnovich Medic, 95, of North Huntingdon, passed away on Monday, January 14, 2019. Helen was born December 17, 1923 in Duquesne, PA, and was the oldest child and only daughter of the late Eli and Mary Stipanovich Vojnovich. Helen graduated from Duquesne High School in 1941 and was honored to be chosen as the class vocal soloist. She was a proud graduate of the Robert Morris School of Business, class of 1942, receiving an Honorable Mention in Secretarial Accounting. 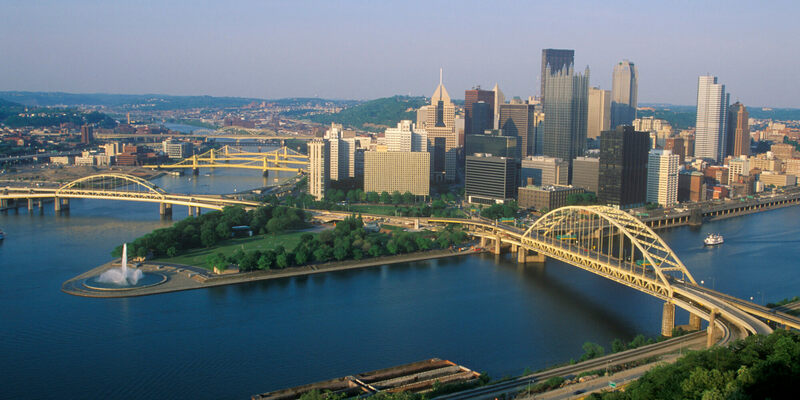 After graduation she worked for an attorney, for Philips Mine & Mill Co., for the Army Air Force in the supply department at the Allegheny County Airport and for the Penn Transit Bus Company in McKeesport. In 1946, Helen “retired” when she married Peter Medic and moved to the Medic family farm in North Huntingdon, PA, where she lived until her passing. As the wife of a farmer, Helen put her education to use in a variety of ways, including being the secretary, treasurer and income tax preparer for the farm. Helen was a devout Eastern Orthodox Christian, attending both St. Sava Serbian Orthodox Church in McKeesport in her youth and Holy Ascension Serbian Orthodox Church in Youngwood, PA. Helen had a beautiful singing voice and was a valued member of both choirs. In addition, she was a member of Serb National Federation Lodge #64. Helen was the wife of the late Peter Medic, who passed away in 1986. She was also preceded in death by her oldest daughter, Christine Rajkovich who passed away in 2006 and her granddaughter Katherine Rajkovich who passed away in 1986, as well as brothers John Vojnovich (2017) and William Vojnovich (2018). Helen is survived by her son-n-law Rade Rajkovich (North Huntingdon, PA) and her children David Medic (Clarks Mills, PA), Mary Miskov (North Huntingdon, PA), Diane (Paul) Markovina (Greenfield, WI) and Joyce (Mark) Yovetich (North Huntingdon, PA). She is also survived by 14 grandchildren Pamela (Mark) Matejevich, David (Margaret) Rajkovich, Dana (David) Guskiewicz, Gwen (Jesse) Beichner, Helen Miskov, Katherine (Joe) Discerni, Matthew (Roberta) Markovina, Stephanie (Enes) Subasic, Peter Markovina, Sarah (David) Schriener, Melanie (Ross) Mires, George Yovetich, JoAnn (Mateo) Villa and Gregory Yovetich. And 16 great-grandchildren Samuel and Benjamin Rajkovich, Adam, Christine and Marina Guskiewicz, Declan Beichner, Andrew Bastin, Luka Discerni, Lazar, Kazimir and Ileana Markovina, Ajla Subasic, Nicholas Markovina, Isabelle Mires, Eleana and Marko Villa. Helen is also survived by her brothers Donald (Milena), Mark (the late Bette), Eli and sister-n-law Dolores Vojnovich. Helen was the matriarch of the Medic/Vojnovich family, hosting many family parties and all the holidays on the family farm in North Huntingdon. She was a loving, faithful mother, grandmother and great-grandmother (Baka) and is a role model for all of us. Friends welcome in Alfieri Funeral Home Inc. 201 Marguerite Ave Wilmerding PA 15148 on Wednesday and Thursday from 2-8 Pm. Pomen Service at 7:00 Pm Thursday. Services on Friday at 12 noon at St. Sava Serbian Orthodox Church, McKeesport PA. Please go directly to the church on Friday. Helen will be laid to rest at Irwin Union Cemetery. Memory Eternal.